He's a tart. Great player. But a tart none the less. hes going to be best player in the world but hes made to join teams like real madrid, barcelona and man united not class teams like milan. he can be a maradona but i cant stand him and will never like him even if he becomes a legend at milan if this nightmare ever happens. look at this, dont you want to kill him, who the hell talks like that? He's good, but he reminds me alot of Totti. It has nothing to do with sinking low it is mainly about being sensible & that is at least what Milan are. Players like C. Ronaldo are not available unless dirty tricks like those from Madrid get to him. Milan heve not spent big money now for seven years but in that time have won 2 Champions Leagues & would have won more if not for freak results. 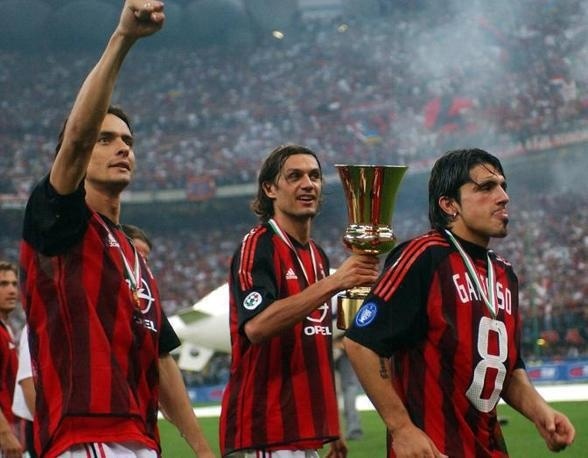 In all Milan have been the best overall side in the world in that period. I like Cristiano Ronaldo but I don't see a point in starting this thread. 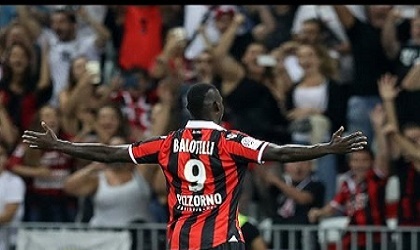 Does he deserve a single thread in a MILAN FORUM? Also considering the number of people against him in this forum, this will just turn out to be the "Bash Ronaldo" thread. you can have him... most united fans are starting to to gradually dislike him more and more. I wouldn't be suprised if he starts to get booed soon. I don't want classless players at Manutd and he falls into that group with his play acting. Last edited by manutd fan; 27-05-2008 at 14:02.
besides ronaldo our club has a lot of class, and thats not me being biased at all. edit: i meant to edit my previous post but pressed 'reply' instead. man i love you more and more when you talk like this!! lol, i'm not sure what you mean but thanks. but still, he clearly doesn't love Manutd and our history, and he is showing that he doesnt respect the club as much as he should, he needs to shut up, or be shut out. no player is bigger than the club. Last edited by zZ[-_-]Zz; 22-06-2008 at 14:07. @DSM - If you refer to Madrid 'tapping' or unsettling a player in order to get him can be easily applied to Milan as well in the case of Ronaldinho - the problem is that Madrid go for the player in his prime while Milan try to get him while he's downhill and on the cheap. The principle is the same though, you usually can't buy players the 'fair' way. The diving point is exagerated and frankly has become boring. Everybody dives nowadays, some much more than him. As for him not being completely loyal, he is Portuguese and has no allegiance to United, he's a mercenary and looks out for himself like 99% of the players out there. That is normal and I don't see why anyone should have a problem with it. I really don't understand why Milan has no intention to lure him, or Dani Alves or Quaresma or Diego or Barzagli... Really, whats going on, why are they so passive? I'm guessing they'll wait for him to be 30 years old and then get him on a free. Comparing him with Kaka makes a nice debate, this year Ronaldo surely took the plaudits, but potential wise Kaka is better IMO. What Cristiano lags most behind Kaka is the passing ability - the vision and precision for through balls. Everybody says Cris has everything, but damn he doesn't have that, he just takes the ball and runs or dribbles without using teamwork like Kaka does. Next year he will be overtaken again by the golden boy. We have 3 more pathetic divers than C.Ronaldo & still we talk about him in a bad way coz .................... he dives ? Which remind me that being short isnt stupid while a short making fun of another short guy is stupid. Let get rid of our pathetic divers then we can all sit + bash a player who is scoring 40+ goals / season. No, what matters is you giving it all on the pitch, as Ronaldo certainly does, not how he feels about the history of the club. Of course born and bred Mancs like Scholes and Giggs are going to spill blood for the club, but Ronaldo is there to make a career. Its a common mistake to mix commitment and loyalty, Ronaldo is commited if not loyal, but if I had to choose between those two in my player Id still choose the first.